New voice control functions are coming to the SmartCast TV platform. 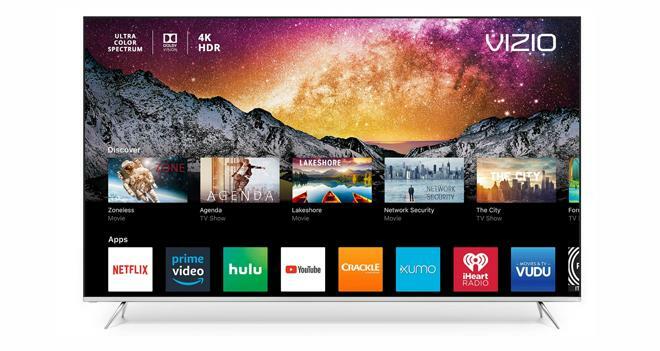 VIZIO has announced plans to bring new Google Assistant voice control options to its SmartCast TV lineup. The expanded functions are set to launch on supported displays in the coming weeks. "VIZIO is a voice control leader in the smart TV industry, and with the demand for hands-free functionalities continuing to rise, VIZIO remains dedicated to delivering added value by integrating voice features for an enhanced overall user experience," said Bill Baxter, Chief Technology Officer, VIZIO. 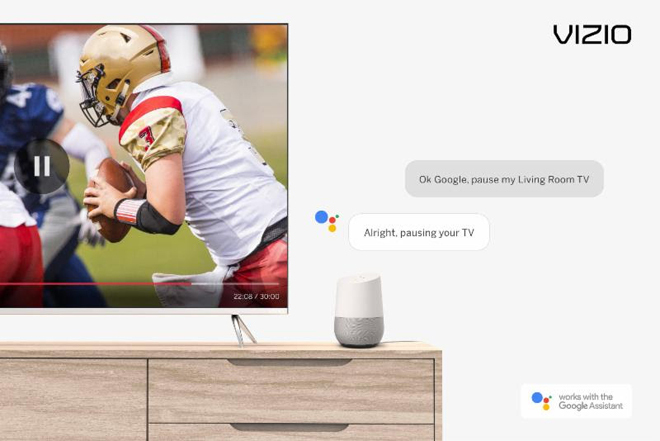 "With the introduction of expanded Google Assistant actions, we're excited to give VIZIO customers the ability to further integrate their SmartCast TVs into their connected smart home ecosystems." As part of the update, SmartCast TV owners with a Google Home or other Google Assistant-enabled device will be able to control their display's volume, input selection, and playback functions like pause, resume, stop, fast-forward, and rewind via hands-free spoken commands. Users will simply need to say, "Hey Google" followed by the desired function. In addition to voice support for Google Assistant devices, the SmartCast TV platform also offers integrated access to popular apps like Netflix, Prime Video, Vudu, iHeartRadio, Crackle, and Xumo directly through the TV screen using the included remote. Meanwhile, customers can also download the free SmartCast Mobile app to use their smartphone as a touchscreen remote, and Google Chromecast built-in allows users to cast thousands of Chromecast-enabled apps to the display from their supported mobile device. Likewise, SmartCast TVs also feature Amazon Alexa voice control capabilities via separate Alexa-enabled devices like an Echo or Echo Dot. The 2018 VIZIO 4K HDR SmartCast TV lineup includes the E-Series, M-Series, P-Series (full review HERE), and P-Series Quantum.